Monitor search engine rankings for keywords. Is there a better alternative to SERank? Is SERank really the best app in Internet Utilities category? Will SERank work good on macOS 10.13.4? SERank will monitor search engine rankings for any number of keywords and display changes in a Web site's search engine rankings over any point of time. Search engines, including Google, Yahoo and Bing, are the leading source of targeted Web site traffic. Knowing where your Web site ranks for popular keywords can help bring more targeted Web traffic and increase the number of customers exposed to your products and services online. 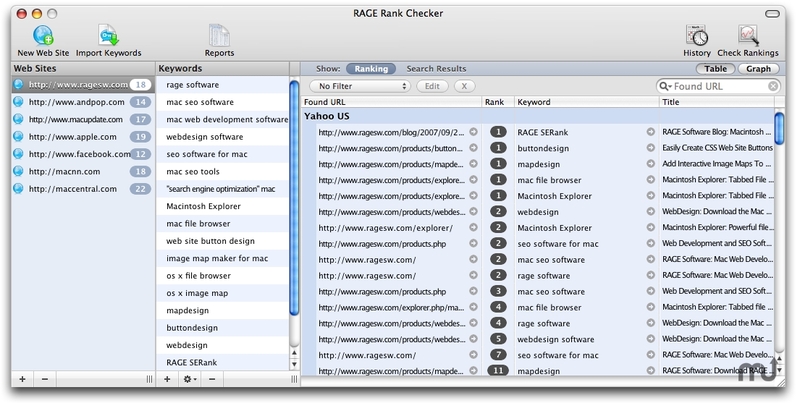 SERank allows Mac users to track where their Web sites appear in over 100 search engines world-wide, and discover which competitors are outranking a Web site and driving away potential customers.